Jet MagicClean cloths are a handy everything cleaner. 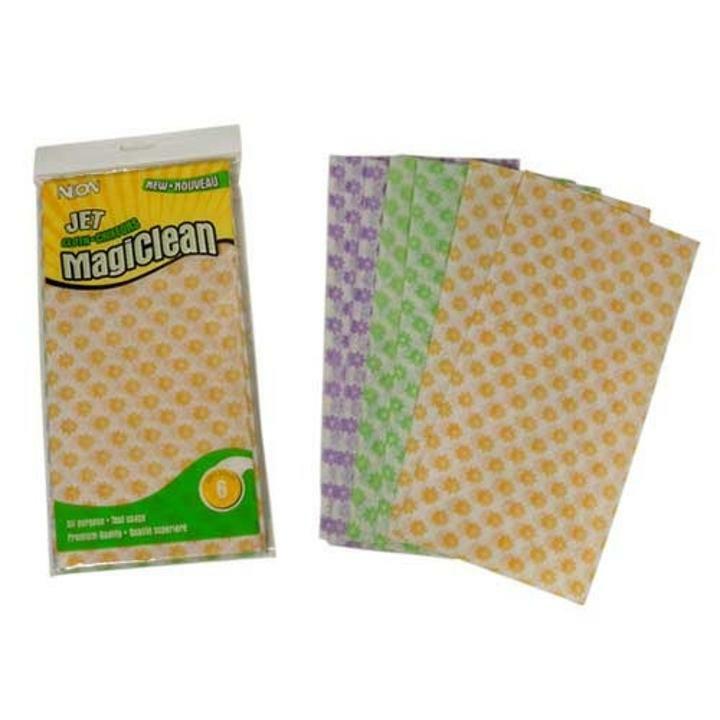 These disposable cloths can be used for scrubbing, washing, polishing and shining. They are quick drying cloths that are easy to rinse so they can be used over again. Perfect for polishing bar ware and wiping down surfaces. Use them instead of paper towels at your next event. Each package contains 6 cloths.